Visit our website to purchase a replacement remote key for your FORD TRANSIT VAN. 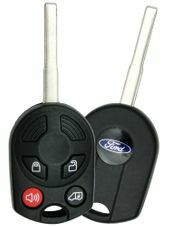 Original Ford Motor Company Transit Van keyless entry fobs with power sliding door - now at affordable prices. Money back guarantee and warranty included. We sell Ford OEM remotes. Call 866-690-4308 toll-free to order by phone.